This is a great opportunity to enhance your coaching skills and learn more about working with 10&Under players. Workshop is open to anyone 15 and over, and no tennis or coaching experience is required. This is a great opportunity to enhance your coaching skills and learn more about working with 10&Under players. Workshop is open to anyone 15 and over, and no tennis or coaching experience is required. 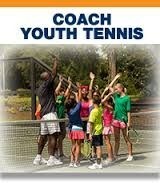 REgister online at www.coachyouthtennis.com or contact Andrew Waldrop andrew@nctennis.com for any questions.